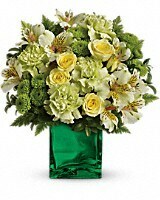 Like a breath of fresh air, this crisp, spring bouquet delivers a burst of citrus style to your lucky someone. This unique blend of yellow and green blooms in a shimmering emerald glass cube is simply brilliant! 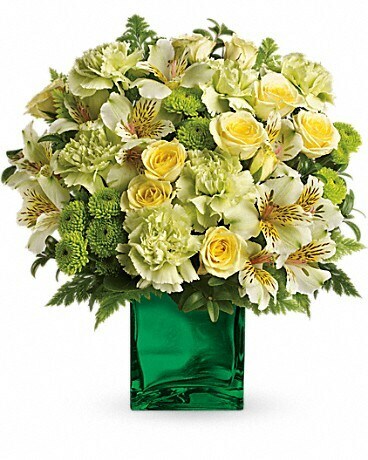 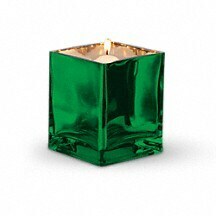 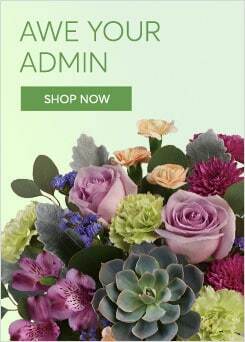 Created for Teleflora's exclusive Flowers-in-a-Gift collection, this versatile cube features a distinctive green "mirror" finish.